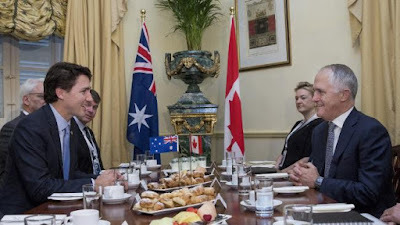 A freedom of movement initiative between the UK, Canada, Australia and New Zealand would not only encompass ideas and policies from the European Union, but would also base its structure on the Trans-Tasman Travel Arrangement (TTTA) between Australia and New Zealand. We work closely with the Oz Kiwi Organisation, who are experts on the positive and negative outcomes of the TTTA with respect to citizens of New Zealand living in Australia. With such expertise, they have been able to provide a valuable insight into how a free movement initiative between the UK, Canada, Australia and New Zealand may proceed, and the challenges (and solutions) that will likely ensue from such a scheme being implemented. This has been noted by a number of economists and migration policy experts. It has allowed for a more efficient distribution of skills and labour between the two countries and provided a safety net in times of slow economic growth in one country or the other. While some have questioned the benefits of free movement as opposed to selective skill-based migration programmes, others have reasoned that given their shared culture and language, even low skilled Trans-Tasman migrants may bring greater economic benefits than high skilled migrants from other countries. Given that migrants are generally younger and more ambitious than the general population, it is not surprising that Trans-Tasman migrants have a higher workforce participation rate than the general population (in Australia, 78% of the New Zealand-born population are in the workforce, compared to 68% of the Australian-born population). There is little doubt that free movement has been a prerequisite for much of the economic integration that has occurred since the 1980s. Indeed, there would be no single market without the free movement of labour. The ease of movement between the two countries has not only facilitated, but encouraged further integration and harmonisation in a number of areas, for example, in relation to recognition of professional qualifications and licences. Due to their common culture and language, Trans-Tasman migrants generally blend seamlessly into their host country. They do not form distinct Australian or New Zealander communities, but instead, fully participate in the life of the country to which they have moved as if it were their own. While there is a constant flow of people back and forth across the Tasman, a large number of people exercising their rights under the TTTA act as permanent migrants. In doing so, they make a substantial financial and personal commitment; finding new jobs, moving their children and purchasing property. Prior to 2001, Trans-Tasman migrants could gain the citizenship of the country to which they moved with relative ease. This has not been the case for New Zealanders coming to Australia since 2001. Since then, whilst they retain the right to reside permanently in Australia, they have no access to citizenship unless they can qualify for another class of visa. Given the restrictive eligibility criteria for these visas (qualifications, age, health, e.t.c) most will never qualify. The Department of Immigration’s own estimate is that 60% will never have a pathway to citizenship under the current policy. This includes some who were brought to Australia as small children and will spend the rest of their lives there. 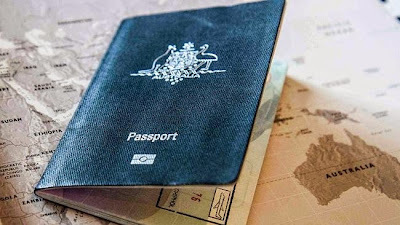 Without citizenship in Australia, one cannot vote, stand for parliament, join the Defence Force, apply for federal public sector employment, or access student loan schemes. Of course, the idea that thousands of people of good character residing permanently in a country, yet permanently excluded from citizenship, is an undesirable one. It is neither in the interests of the individual, nor the country itself to have so many people in a permanent second-class status. There are good reasons concerning public policy as to why welfare access should not be immediate for new migrants. It is reasonable that a country should expect new migrants to arrive with enough resources to support themselves in the foreseeable future, rather than become dependent on the state. There is also a need to prevent “transfer shopping“, in which migrants seek to exploit differences (of eligibility or payment levels) between the welfare systems of different jurisdictions. There is also a good reason for migrant groups to support such restrictions. 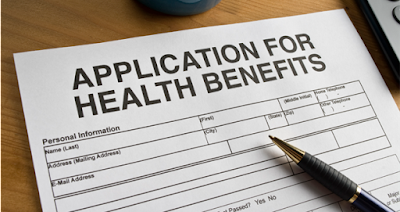 The easy access of New Zealanders to welfare in Australia through the 1970s, 1980s, and 1990s (access was either immediate or available after 6 months) led to the perception that New Zealanders were abusing the welfare system. Undoubtedly, a small proportion of New Zealanders did abuse the Australian welfare system, just as a small proportion of Australians abuse the system today. The statistics, however, did show that New Zealand migrants were less welfare dependent than the general population. However, the ease of access to public funds by migrants, who had not made a previous contribution to the taxation system, gave a negative perception of New Zealanders in Australia, leading to them being labelled ‘Bondi bludgers’. Similarly, the perception that EU migrants abuse the easily accessible welfare system in the UK (again, without any statistical evidence that they are abusing the system en masse) is also leading to growing anti-migrant sentiment. All modern liberal democracies operate a substantial tax and transfer system with many individuals paying substantial parts of their income in tax year after year. This system allows governments to reduce economic disparities and acts as a form of social insurance for all persons in case of a rapid change of circumstances (for example, loss of employment, serious illness, disability, natural disasters, e.t.c). In many countries, this social security system consumes a third of all government revenue. This is why the permanent denial of welfare to permanent residents is unsustainable. Effectively, it entails the government compulsorily acquiring large sums of an individual’s money (typically thousands of dollars per year) for an insurance scheme, but then denying them access to the benefits of that scheme. Needless to say, migrants treated permanently in this way will become dissatisfied over time. There is, of course, also the basic issue of social justice and stability. We recognise that having some form of welfare system is beneficial to ensure that individuals maintain dignity in tough times, and bring broader benefits to society, hence alleviating the negative consequences of poverty (such as homelessness and crime). Excluding a large group of people who have lived in a country, potentially for decades, from such a scheme is bound to lead to the emergence of exactly those sorts of negative consequences. Having established that neither free-for-all access to government services, nor permanent restrictions are desirable, the application of reasonable waiting periods becomes the obvious answer to these issues. Waiting periods should seek to find a balance between the interests of governments and individual migrants. Governments can reasonably expect that migrants should make some contribution to the nation before gaining full rights to government services. They also have an obligation to existing taxpayers to prevent “transfer shopping”. Migrants should be expected to have planned their migration and performed everything in their power to ensure they can be financially self-sufficient. This expectation, however, should not be unreasonable. Whilst one can typically plan with a degree of confidence for the next few years, planning with any certainty for the longer term is practically impossible – there are too many variables. Waiting periods of between 2 and 5 years to access citizenship and the full range of government services would seem reasonable. Such requirements obviously add red tape when compared to those based solely on waiting periods. However, there are existing systems that could be replicated. For example, Norfolk Island allows indefinite residence to Australian and New Zealand citizens. However, to gain full rights of access to government services, citizens must complete an application for Norfolk Island resident status and pay a small fee (about $125). To qualify, the applicant only has to show a clean police record and intend to reside for the foreseeable future on the island. The UK allows Ancestry Visa holders to apply for “Indefinite Leave to Remain” after 5 years, if the applicant can demonstrate they have been living pretty much continuously in the UK and are in employment (or actively seeking employment). The advantage of these schemes is that they allow people who have settled permanently to normalise their status in a relatively straightforward way after fulfilling some basic and reasonable criteria. Visa fees have increased rapidly over recent years (for example, a partner visa is now $6800, and does not include the cost of a migration agent, medical exams, e.t.c.) These fees are steep by any standards (the actual cost to the government of processing the application is about $300…the rest is simply revenue raising), but are particularly so when the applicant already enjoys the main benefit that the visa ordinarily brings – the right to reside permanently in Australia. It is hardly a surprise that, of the 40% of New Zealanders who may be eligible for a permanent visa, only a small fraction apply. Most people simply make the calculation that it is not worth the money. Without explicit agreement on matters of migrant rights, a Commonwealth free movement agreement could become very one-sided. Australia, for example, would almost certainly apply the same rules to British and Canadian migrants as it has to New Zealand migrants. In general, New Zealand would take a more generous approach to a free movement initiative as permanent residents, regardless of nationality, are already entitled to vote, and it is widely accepted that Australian-style restrictions on voting rights, citizenship, and access to services would be illegal under New Zealand human rights laws. Successive New Zealand governments have stated that, not only would Australian style policies be illegal, but they would not be in New Zealand’s best interests. The UK would also likely take a more generous approach, as Commonwealth citizens are already entitled to vote in UK elections. UK human rights laws would also, like those of New Zealand’s, prevent the introduction of Australian-style policies in relation to those living permanently in the UK. In addition, Canada, like Australia, would not give voting rights to non-citizens. However, Canadian human rights protections would likely prevent the introduction of Australian-style policies. Of course, a situation in which Australians could move to New Zealand, the UK, and Canada with substantial rights, but British, Canadian, and New Zealand citizens moving to Australia facing severe restrictions would be thoroughly undesirable, and could lead to the emergence of significant divisions between the countries very quickly. Therefore, it would seem necessary to include some sort of provision that guaranteed basic rights to all migrants between the relevant countries. This should not be an EU-style edict that greatly limits national policy independence, but one that allows substantial freedom for each country (for example, the provision to not restrict migrant rights for more than 5 or 10 years). Within this limit, each country could do as it wished – some could be generous, others more restrictive. This would strike a fair balance between national policy independence and the need to maintain a coherent and fair agreement between all parties. 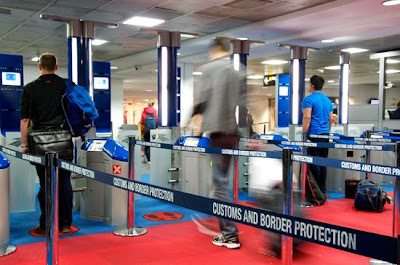 ⟵Can Ireland Be Considered For Freedom Of Movement?